At Cross Rhythms we see ourselves as an arrowhead. As media our mandate is to be strong and piercing into situations in our locality of North Staffordshire, into our nation and even globally. However we don’t see the whole picture. 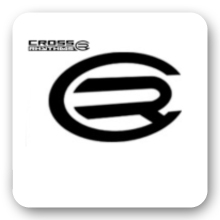 The heart of Cross Rhythms as an organisation is deeper than that. We believe in collaboration with other organisations whose impact on society is different from our own. As God says he blesses unity and partnership this is vital if we are to really see a difference made in our communities, nation and world. 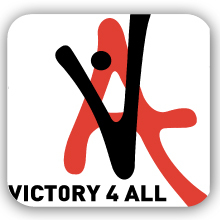 The Victory4All project is part of Victory Christian Church in Jeffreys Bay, South Africa and has various projects in and around the area which influences the daily life and future of many under-privileged children in a positive way. Through practical help, Victory4All want to show them the love of Jesus Christ. Visit our website to read more about what we do. Feeding, fathering, and educating kids in crisis around the world. Kids in Crisis (USA) is a 501(c)3 organization, supporting and assisting humanitarian and orphan aide projects around the globe. 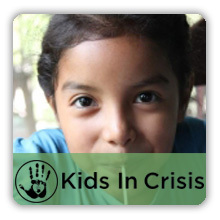 By networking, gathering resources, and increasing awareness, Kids in Crisis has joined forces with trustworthy, established charities to reach a common goal: to see God's children, locally and worldwide, thriving physically, emotionally, and spiritually. You might be surprised to find...when you reach a child, you change your world. This has become our mission, and we'd love for you to join us in this cause as we reach our world one life at a time. Check out a short video here. 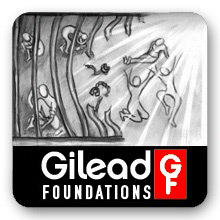 Gilead Foundations operates as a Christian Rehabilitation Therapeutic Community, offering a recovery program for people with life-controlling addictions, relating mainly to drug and alcohol abuse, homelessness, gambling, eating disorders, self harm, dual diagnosis, and other addictive behaviours. Gilead is based at Risdon Farm, near Jacobstowe, Okehampton. 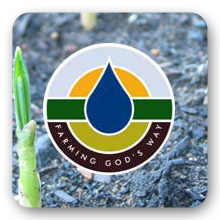 Farming God's Way involves the training of the rural poor of Africa, equipping them to realize the God given potential of the land. We couple the Word of God with agricultural skills, to bring about the Harvest in righteousness & faithful stewardship. Demo plots called Well Watered Gardens are implemented, which are wonderful marketing and training sites, done for a number of seasons. There are countless testimonies to the Godly multiplication of the harvest, both commercially and with subsistence farmers.